When we hear something about Port Isaac, the most common thoughts about this place are related to popular ITV series Doc Martin. This makes sense, especially when it comes to floating away cars. Yes, it is not just a movie scene, it is a reality you can face. Nevertheless, if you come to this place inspired by the Doc Martin story, keep in mind that it is better not to disturb the house up the hill, known as the Doc's surgery. Actually, it is a private house, also known as "Fern Cottage". Furthermore, Port Isaac has a history that has nothing in common with TV series. Port Isaac, also known by its Cornish name Porth Izzick which means Corn Port, was a trading center of corn trade. The pier was established in Tudor time, exporting corn produced by the arable Cornish land. As you may guess, the existence of port also attracted villagers whose trade was organized around fishing products. Even today you can see fishing boats full of different fish, crabs, and lobsters. Fishing is one of the main reasons to visit this place. The village is full of pubs and eating places where you can taste one of the best fish and chips in your life. So the fact that there is no such place as Bert Large's restaurant should not upset you. Still, if you are interested in visiting TV-shown places, the May Contain Nuts, a small grocery known as the starting point of the Doc Martin's walking tour, is a good choice for you. By the way, it is a nice place to find some Doc Martin souvenirs. The main warning for all those who came to England for the first time is English English. It means, if you see a lemonade in a menu, you should keep in mind that in most cases this drink will have nothing in common with lemon juice mixed with sugar. So if you are not a fan of fizzy drinks, you would better try something else. For all those who do not want to include visiting restaurants and pub crawls in the list of their adventures, choosing a hotel is an initial thing to do. Most hotels provide breakfasts and other meals included in the price. Port Isaac gives a chance to travelers to find the most suitable place to stay. Hotels, cottages, bed and breakfast hotels, condominiums - you can choose anything you like and suit your wallet. The best advice is to choose the place in accordance with your plans for the holiday. So if you do not want to spend your time cooking and cleaning, look for the best hotels. If you want more privacy - cottages become the best choice. For all those trying to become a part of everyday life, there is a chance to find a nice condominium. Bed and breakfast hotels give a chance to save some money. Whatever your choice is, you will probably enjoy the welcoming atmosphere of this place, giving a plenty of chances to have the best holiday in your life. If you want to feel a real lifestyle of Port Isaac, you may think that visiting the local side of a place is the first thing to do. Yes, of course, you are right. Just keep in mind that walking through local gardens and starting in windows will not help you to know much about this place. People who live there are just the same people you have as your neighbors and they will not be pleased by the annoying behavior. Private life is sacred, so make sure you do not interfere it. The best thing to do is to buy a map at a local post office. You will not find them walking the village, as well as you will not see any signs. So if you are going to visit notable places, such as Doc Martin locations, make sure you have a map! One more thing that attracts tourists is the ability to see a real fisherman. Port Isaac is one of the live fishing villages, so see how many of them you can spot. Get through the tiny alley that connects the main high street to the street above. Just make sure you are a perfect fit to climb the streets: the Squeeze Belly Alley is quite quirky. The best advice we can give you is taking pictures, as many as you can. The thing is that you do not know exactly if some place or house is famous or not. You may found out you have missed one, so taking pictures increases your chances to collect the best of the best places throughout Port Isaac. Also, try to head off the main streets and find some quite places. You will be fascinated by amazing views, we do promise you. If you want to see one of the best views of Port Isaac, do not miss a chance to climb the hill right behind the Doc's house. You will enjoy it! Of course, fascinating views and adventures of walking down the streets is not the only thing to do. Port Isaac is full of places that are worth to visit. Some of them may attract you because of its TV-fame, some can offer an entertainment, some have historical value. We would like to focus on the main four places. Port Isaac Aquarium provides the ability to buy a locally caught shellfish and some fresh fish. If you want to become a fisherman for a couple of ours, this place will provide you this opportunity with a local fishing boat trips. It is situated at the side of a harbor slipway you can easily find using a map. Port Isaac Lifeboat Station located at the opposite side of the slipway is available for visitors 24/7 every day. So if you want to enjoy the atmosphere of a real sailing place, do not miss a chance to see it. Port Isaac Pottery, which is a pottery, gallery, and art workshop at the same time, provides the ability to see a plenty of locally made things such as paintings, jewelry, gifts and some other arts. It is a good place to find so souvenirs. You can also enjoy the internal view that remains unchanged since it was used as a place of worship. It is an old and charming Methodist Church building with old photographs reminding you of the history of this place in the foyer. St Peter's Parish Church situated up the hill from the Old School Hotel Bar and Restaurant, will through you beck in history. Before the first World war, the Methodist community was quite often visited by John Wesley. Sadly, it was partly closed long ago but you still can enjoy the remaining parts. Every Sunday morning you have a chance to take part in a regular Holly Communion service held at 9.45am. For all those who are fond of an active lifestyle, Port Isaac provides at least five surf spots. They are Polzeath, Newquay, Trebarwith Strand, Harlyn Bay, and Bude. It is some kind of a surfers paradise that can offer excellent conditions all year around. Port Isaak is one of the places that will give you a chance to enjoy both active lifestyle and a good leisure. Whatever your goals for the weekend, you will probably gain them all! The village of Port Isaac attracts a lot of tourists every year, especially when we are talking about summer holidays. The village is situated on the Atlantic coast of north Cornwall. It takes around 5 hours to get there from London. Though it is not a problem to get to Port Isaac, people are always in search for the most convenient ways to do it. So let us assume the best ways. The first thing you have to do is to take a flight to the UK. So let us take London as a starting point of our virtual trip. There are two main possible locations of arrival: Gatwick airport and Heathrow airport. Both of them is good to start your trip. First of all, you will need to to get to London. The easiest way to do it is to use a Heathrow Express or the Underground, the Picadilly Line. The way to London will take around half an hour. In London, you will have to get to the London Paddington and get a ticket to Bodmin Parkway. It takes 3 hours and 40 minutes to get there. Still, your trip is not over here. Port Isaac is situated 18 miles from Bodmin Parkway, so you will need the number 555 bus to Wadebridge. Still not over. The number 584 bus will take you to Port Isaac. 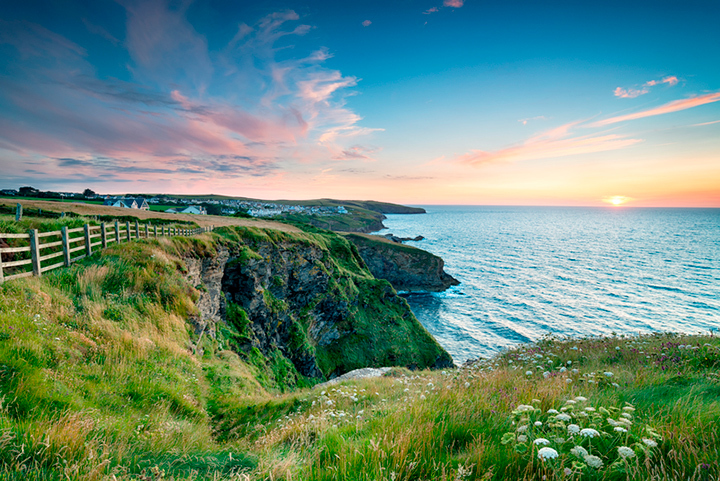 If you arrive at Gatwick airport, the easiest way to get to Port Isaac is to take a flight to Newquay airport. It is situated 30 minutes drive from the village. You can book a taxi or hire a car to get to the Port Isaac. Of course, you can also choose the Bodmin as the middle point of your trip. 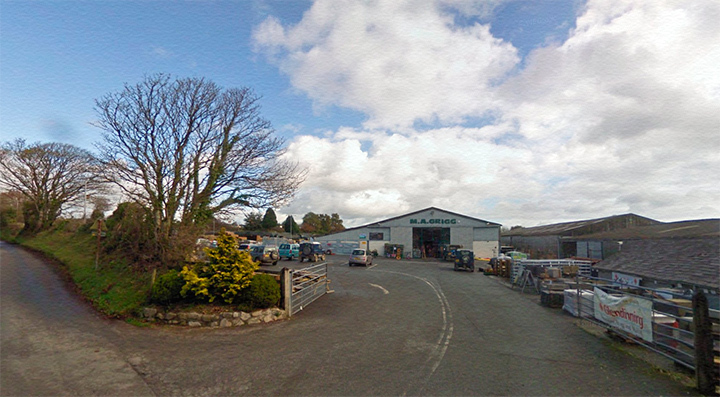 Both Bodmin and Newquay are close to the village, so make your own choice. Of course, you can rent a car to get to Port Isaac from Bodmin Parkway or even from London. Just note that there are nearly no parking places in Port Isaac. Parking places on the beach are for local people only. Furthermore, do not try to drive straight after the flight, especially when it comes to long transatlantic flights. The road to Port Isaac from the airport (Heathrow or Gatwick) takes a lot of time, so you just do not need to risk. Let yourself have some rest and stay in some beautiful places such as Bodmin, a quite and picturesque little town, Taunton or Exeter. Both places are very pleasant and offer convenient accommodation. You can rent a car early in the morning and continue your trip.